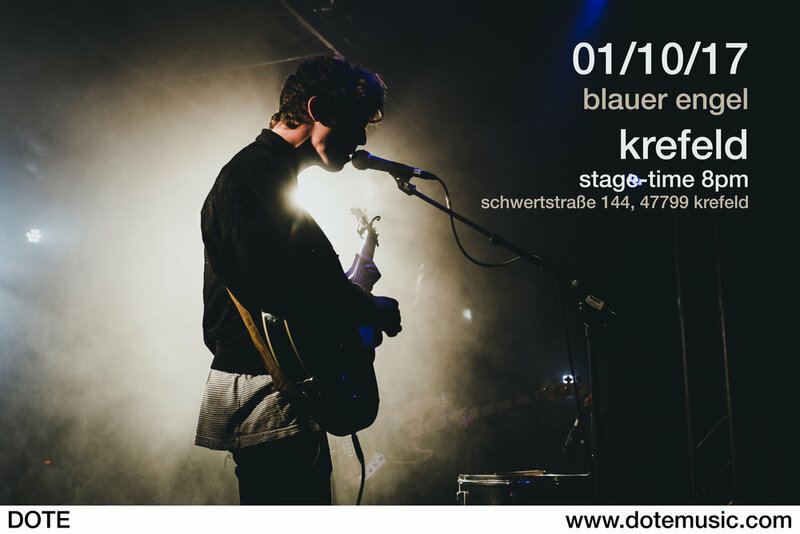 this coming sunday sees us return to the stage, this time for a debut appearance in krefeld. the blauer engel is celebrating it's 35th birthday and is putting on a whole load of live music over the course of the weekend. entry is free, so no reason not to be there! as ever, merchandise will be available after our set, so come along and say hi! last saturday saw us play our final dinslaken show of the summer. so, naturally, here's the final dinslaken photo gallery of the summer. this coming friday, 28th july sees us returning to the stage at Viel & Draußen Festival in Heilbronn. Tickets are available in advance for €10 from the festival website. tickets will be available on the day, but so far no prices have been confirmed (possibly €15). our stage time is 17:15, with gates opening at 13:00.
merchandise will be available after our set at around 18:00, so come by and say hello! it's friday! not just any friday though. today means we have just one week to go until we hit the festival trail again. the break has been lots of fun, but now it's time to get back down to business! things start up again next friday evening in Heilbronn, with the following week seeing us hit the stage in Delbruck! who's coming? drop us a comment and let us know! we are sooooo excited to see you all again! for the rest of our upcoming dates, check out our live section! ladies and gentlemen, we have reached the half-time of our first festival summer as DOTE. To give you a short overview of the last few weeks: Luke has climbed a balcony – naked. Jonah nearly broke his jawbone. Niclas has slept on the floor of a cellar in the middle of nowhere, and Moe was drunk at least one time, which is a pretty freakish thing for him to do. Things got crazy sometimes. Apart from all the beer we drunk, all the lovely people we met and talked to, we have to say: Thank you. Starting at “HardtBeat Festival” in Mönchengladbach around a month ago; we played a show every weekend from there on and each of them has been ridiculously amazing. The crowd, no matter where, was absolutely welcoming and gorgeous. We are very flattered by the support we have received throughout every concert from all of you. We had a lot of fun and we're hoping to continue the good vibes at the end of July, when we start again at “viel & draußen Festival” in Heilbronn. We hope to see you all again at the upcoming gigs you can see below. here's a little something from our performance at 5. Rock in't Dörp Festival last weekend. enjoy! if you caught our set, drop us a comment. the weather is getting hot, and so are we! a busy summer is starting to take shape, and we're super excited to announce some new festival dates! Check out the current schedule here!